I am trying something new through this post. I recently read Marcus Aurelius’ “Meditations” and wanted to write something about it. However, instead of writing a 1000-word-article around the legendary Roman emperor’s book, I have rather created a small 1-minuter. 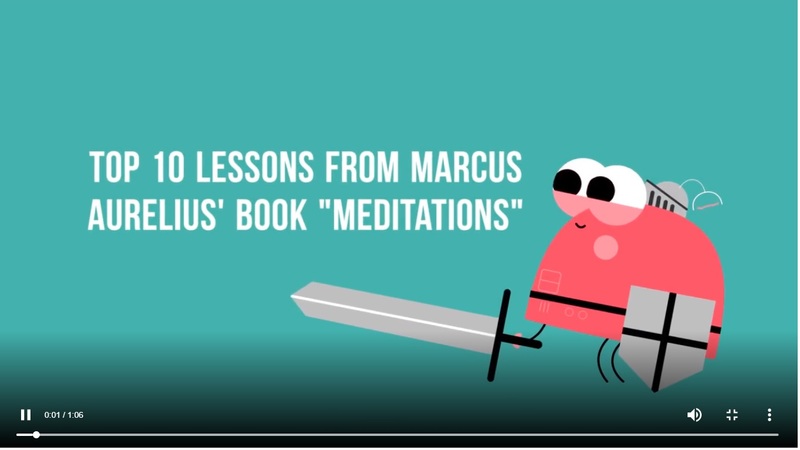 The video succinctly explains what I thought were 10 great lessons from the book. More about Marcus Aurelius here: He was the last of The Five Good Emperors of Ancient Rome. He took the title of Augustus after the death of his adopted father, Antoninus Pius. His book “Meditations” is a reflection of his life. The words inscribed in Meditations are the product of his own thoughts and his own experiences. He wrote to remind himself to lead by example, that he is the master of himself, that emotions cannot puppeteer him, and that pleasures cannot warp his logic and his will to do good. Aurelius ruled the Roman Empire near its greatest extent with the virtues of fundamental stoicism. He did not want or consent to Plato’s Republic, but he put his duties, his loved ones, and his country before his own interests. Marcus Aurelius rejected luxury and comfort. Sharing his seat of power with his adopted brother is the one move that summarizes Marcus Aurelius’s entire life. The fear of power and the duty embedded in him through his interest in Stoicism, a philosophy that grounds itself on self-restraint, reason, and fate. Some great words of wisdom in the video, Amitesh. Good work! Wonderful video! I’ll take a few of these lessons to heart. Thanks, Kat. I suggest you read the book, too. It’s a great investment.